CNN once published an article enumerating the 50 best foods and dishes in the world. What’s astonishing about the article is that the top 10 are actually Asian dishes. This goes to show how refined our Asian palate is and how well we know how to use the ingredients that nature provided for us. It also helps that most Asian countries have good climate to grow fruits and vegetables while having the Pacific Ocean nearby for good seafood. Here are the top 10 foods and dishes in the world. 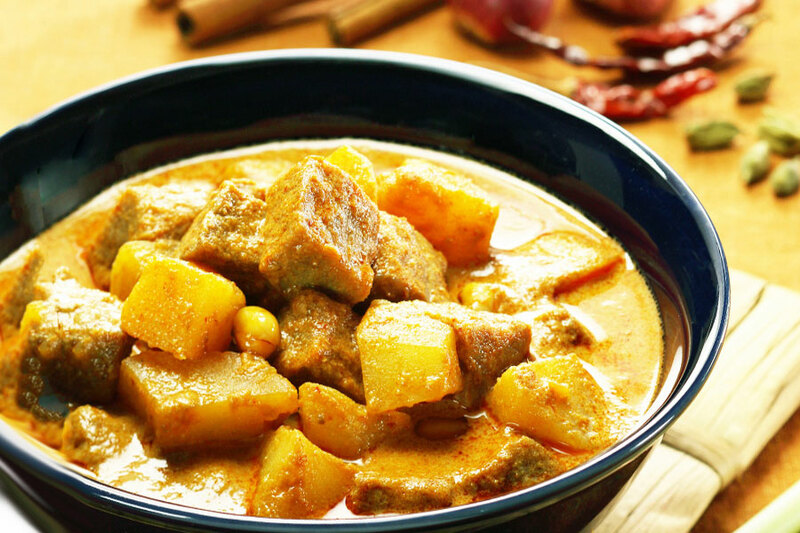 Most commonly found in Thailand, Massaman curry is considered by many to be the best of its kind. What’s most notable about the dish is that it combines different types of flavors that blend into one delicious concoction. It is sweet and spicy with a savory coconut finish from the meat. The dish that placed Beijing on the food map, the Peking duck is an impeccable dish made more so by the fact that breeders actually have to make sure that each duck is 65 days old and in good condition before they are cooked. Peking duck is best served roasted and sliced in front of the diners. One of Japan’s greatest contributions to the culinary world, the Ramen is Japan’s version of the noodle soup prepared from wheat noodles and served with fish broth, miso, soy sauce, pork, and a variety of green vegetables. Another one of China’s great dishes, the term dim sum covers a wide variety of bite-sized treats that are steamed in small wooden baskets. The more popular types of dim sum are dumplings, pork buns, congee and spring rolls. Aside from the Massaman Curry, Som Tam is another one of Thailand’s delicious dishes. It is also known as green papaya salad and is prepared by having shredded papaya salad combined with pounded garlic and chili. The similarity of the variations end there, as it is customary in Thailand to ask for the customer’s taste preferences. 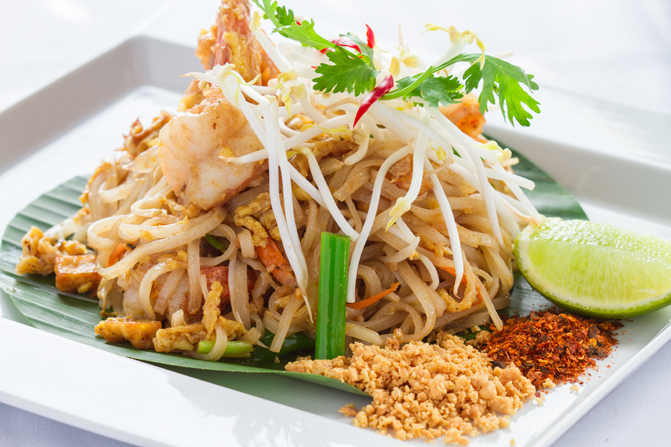 Pad Thai is a popular street food in not only in its country of origin, but also in various Asian countries as well. It is a stir-friend noodle dish that is served together with eggs, tofu, garlic, shrimp and chili. Variations contain several green vegetables and other meats. Thailand seems to have the best dishes in the world as another one makes the top 10. It is a staple soup found in Southeast Asian countries. It is prepared by boiling broth together with lemon grass, lime leaves and juice, fish sauce, and chili peppers. Variations may include more vegetables and meat. Probably the most popular Japanese dish, sushi is rice combined or wrapped with several other ingredients like vegetables, fruits, and seafood (cooked or raw). The top two dishes in the world are actually Indonesian. Nasi Goreng came in close second place. It is actually stir fried rice cooked together with spices such as garlic and chili, combined with eggs and chicken, and then spiced up with a type of sweet soy sauce. The best dish in the world is Rendang. It is of Malay origin yet often served in Indonesia. 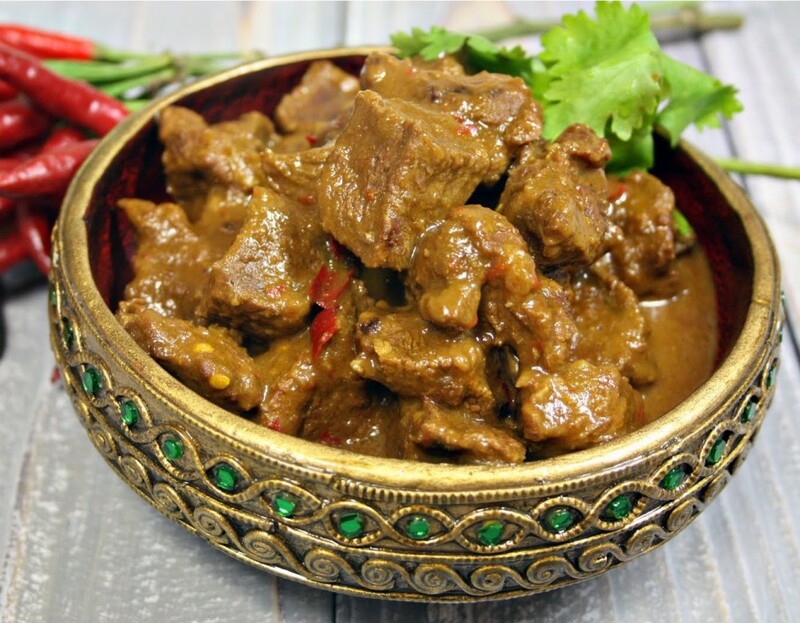 It is served by simmering beef with coconut milk and combined with several spices including ginger, turmeric, garlic, and chili. It sounds so simple yet the combination of technique and spices makes it the best type of dish in the world. In less than a month, we are going to celebrate once again that special day we dedicate to our fathers. On the third Sunday of June, which is the 15th to be exact, we will all be celebrating Father’s Day. Have you got any plans yet on where to take dad for an awesome day of catching-up and good dining? If you haven’t got any yet, then consider these restaurants which are the ideal setting for a value-for-your-money, casual, family bonding. This non-pretentious restaurant is perfect for lunch or dinner. 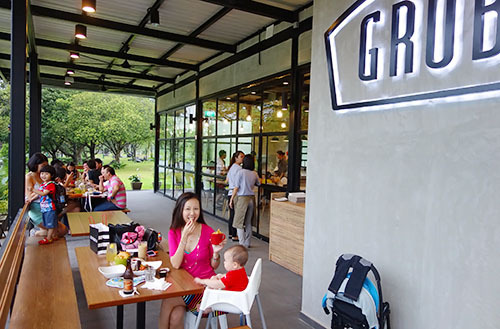 Located at 510, Ang Mo Kio Avenue 1, Grub is firm in its mission to serve only good-quality food while upholding their social responsibility. Thus, the produce they serve are as natural as possible and the meat, poultry, and seafood that they have are sourced from responsible farmers and fishermen who grow their animals free-range and without antibiotics or growth hormones. The result of such careful selection of food ingredients is no less than the freshest, great-tasting menu you could ever want for such an affordable price. 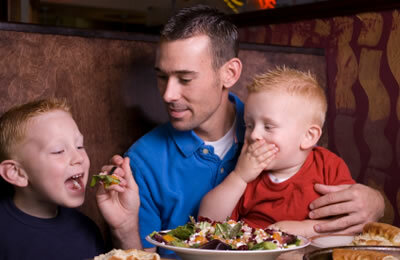 Grub is indeed the perfect place to treat dad to some scrumptious meals without worrying about his health. They specialize on burgers so there definitely won’t be any shortage on choices. They’ve got Grub cheeseburger, pork steak burger, and crispy fish burger. Other than that they also have chicken steaks, pastas, and their perfectly tender and moist slow cooked pork belly. Don’t worry, just because the restaurant’s name says it doesn’t mean your dad’s going to become a fat man too. Based on the name alone, you’d automatically assume that this is a Western restaurant. Technically that’s correct, but the story doesn’t actually end there because aside from serving burgers, which are standard Western food, they also serve Thai food. That’s quite an odd combination right? Regardless of whether you prefer Thai food or burgers, Two Fat Men still is the right place because their Thai cuisines and juicy burgers are all worthy of praise. For a taste of Thai food, they’ve got the classic som tam (papaya) salad, basil chicken fried rice, and the meat lovers’ grilled pork neck. 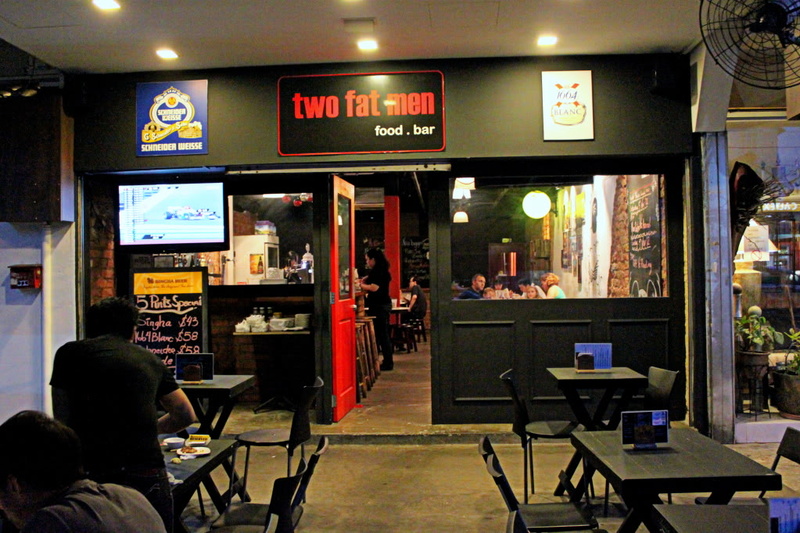 So, if dad can’t decide on whether to eat Thai food or burgers for dinner, then take him to Two Fat Men at 376 East Coast Road and let him have both! Yes, it’s true, we love our Singaporean food and nothing comes close to it when it comes to taste. But from time to time, it is nice to change things up a bit and try other international dishes. And what better way to do that than visit some of our local Indian restaurants such as the ones listed here. At 252, North Bridge Road, #03 – 21B Raffles City Shopping Centre, you’ll find this elegant Indian restaurant owned by the Mirpuri family. 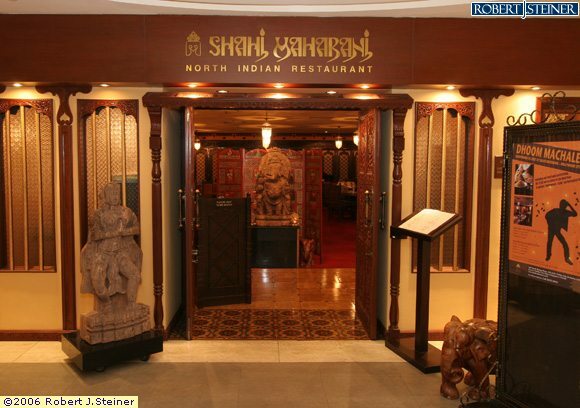 For many years now, Shahi Maharani has continued to serve appetizing, traditional Indian dishes. Their menu boasts of an excellent selection of Indian cuisines such as their Jheenga curry, which consists of tiger prawns cooked in an onion-based sauce, and their tender tandoori lamb chops. For dessert, you should try their nutty delight, made with pistachio, almond & cashews folded into vanilla ice cream and garnished with peanut brittle. The food isn’t the only reason to keep coming back here because ever since they started, they haven’t failed to provide their customers with quality service and a classy ambience that adds a luxurious feel to the entire dining experience. An Indian restaurant that looks after your health and is friendly to your budget, that’s what Daawat Tandoori has always been. Here, you are guaranteed that all the dishes are prepared with good quality ingredients and without MSG or any other additives. You can order a full Tandoori Chicken for only $24 and a Paneer Naan, an Indian bread stuffed with cottage cheese and roasted in earthen oven, will only cost you $3.50. Daawat Tandoori also has an amazing range of chicken specialties and an assortment of filling vegetarian dishes such as their spicy, stir-fried Vegetable Jelfrezi. 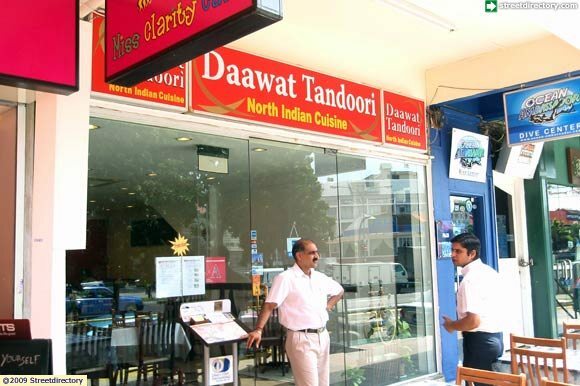 If you’ve never tried Indian food yet, then Daawat Tandoori at 207, Upper Thomson Road, Yew Lian Park is the ideal place to start. The tenure of this restaurant is testament to its greatness in serving delectable, authentic Indian cuisines. 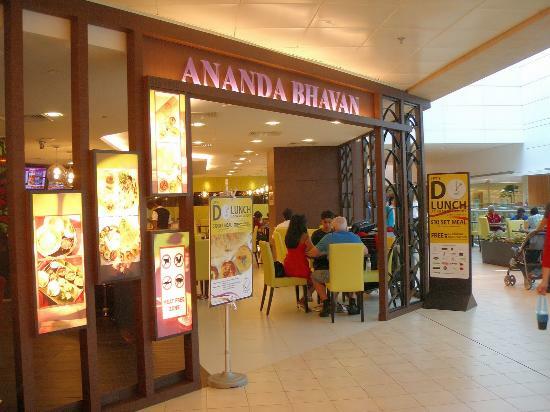 Ever since 1924, people have continued to patronize Ananda Bhavan Restaurant. They serve a seemingly endless range of Indian dishes from North Indian, South Indian, to Indian-Chinese dishes. Their Thosai selection alone is quite plentiful. They have cheese thosai, masala thosai, onion thosai, and even pizza thosai. But of course, they do serve the plain version. So, if you haven’t tried the dishes of this time-tested Indian restaurant yet, do take the time to visit them at any of their 5 outlets, including one at Selegie Road where it all began. 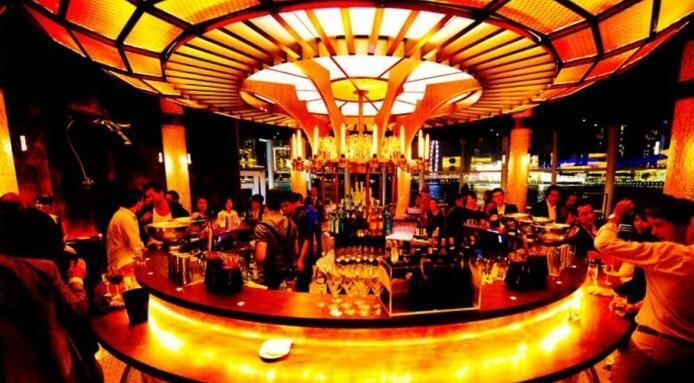 If you think that all establishments are closed during New Year’s Eve, well, it’s not. A lot of restaurants and food chains in Singapore are open to serve their customers to the fullest during New Year’s Eve. However, there are other businesses that close early to prepare and celebrate together with their families during New Year’s Eve. 1. Catalunya. International Chef for the year 2013 Ferran Adria, brother of Albert Adria who serves his sample recipes at Catalunya which includes sashimi, crab cake withblue crab, premium beef and many mouth-watering foods. This is exclusively discounted every Christmas and New Year’s Eve. 2. Au Chocolat. Presenting their 3-dish dinner menu, Au Chocolat is not behind when New Year’s Eve comes. Their delicious duck recipes and other sea foods make them popular and making people find their way back to the place. 3. 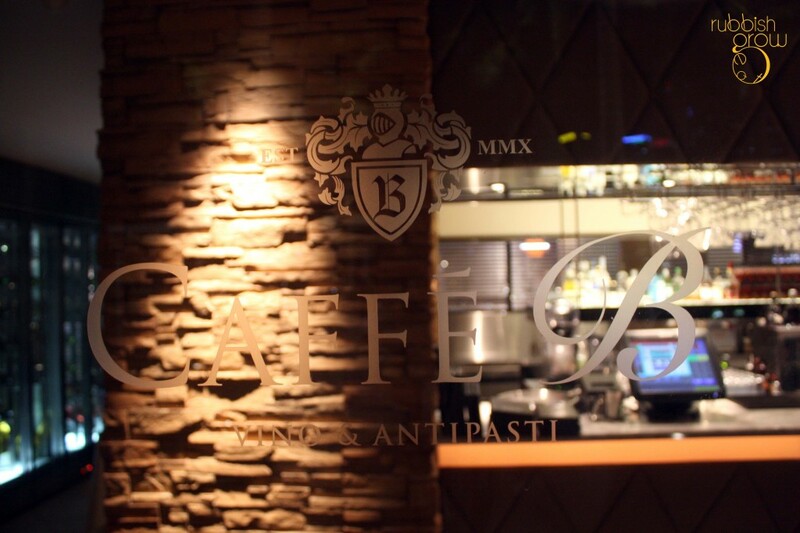 Caffè B. Italian cuisine is here in Singapore, as Caffè B serves their extraordinary New Year’s Eve menu in an exceptionally reasonable price. 4. Edge. Before you say that crab is just an ordinary food, let Edge give you the chance to taste their one of a kind Alaskan king crab. Apart from their best seller, you can also dig into their hams, oysters, salmons and etc. 5. Gattopardo. 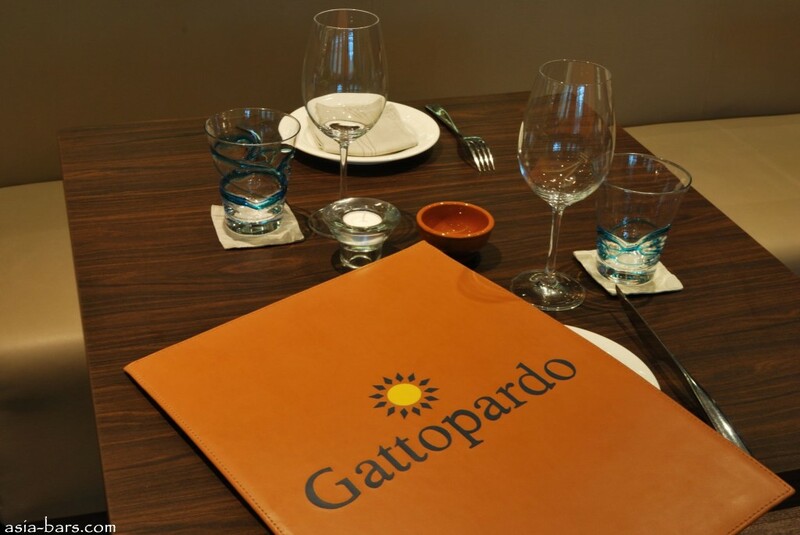 When you want an extremely extraordinary New Year’s Eve, you cannot commit mistake once you choose to celebrate your New Year’s Eve at Gattopardo. Most of the food served here are of chef Lino Sauro’s work. In here are fine Italian plates like braised octopus, pasta and their top food in the menu – seafood stew. Coffee is the world’s most common beverage. Thousands of people consume it every minute of the day. Popular for its distinctive aroma and flavour, this drink has transcended boarders and cultures. Before it gets into our cups, coffee is processed and brewed. Depending on the process and its seeds, coffee can be cheap or very expensive. The positive and negative effects of coffee have been disputed for a long time. 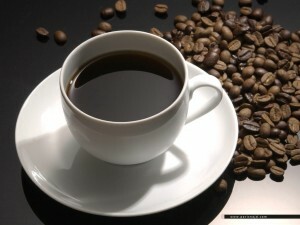 The main component of coffee that is always in question is the caffeine. Caffeine is a legal psychoactive drug which seeks to stimulate the brain function. If you take this, expect the restoration of alertness and changing of perception and mood. Caffeine can serve as an antidepressant, as it carries an inhibitory effect that reduces the feeling of depression. It has also been observed that that decaffeinated coffee prevents prostate cancer and type 2 diabetes. Coffee in general reduces illnesses like Alzheimer’s, dementia, Parkinson’s and various heart diseases. The presence of antioxidants found in your cup of coffee neutralizes free radicals from doing further damage to your cells. Too much coffee is detrimental to health. The risks of coffee can be mainly attributed to its caffeine content. Caffeine can cause mild-to-severe headaches and anxiety disorders. It can also worsen existing conditions arrhythmias, gastroesophagael reflux disease and, in some cases, it can cause sleeping disorders. Elderly people are allowed to drink caffeinated coffee in moderation because too much can cause heartburn. Just to be safe, you can always choose decaffeinated coffee. If you cannot drink without caffeine, remember to drink moderately.